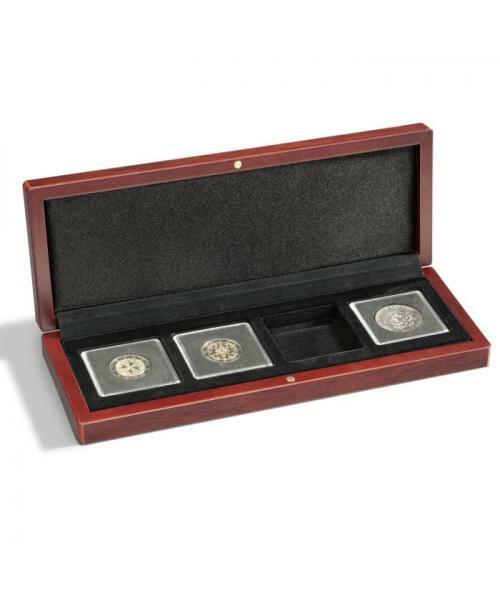 Classic and tasteful, our luxurious Volterra Coin Case is a presentation case you can display your coins in with pride. 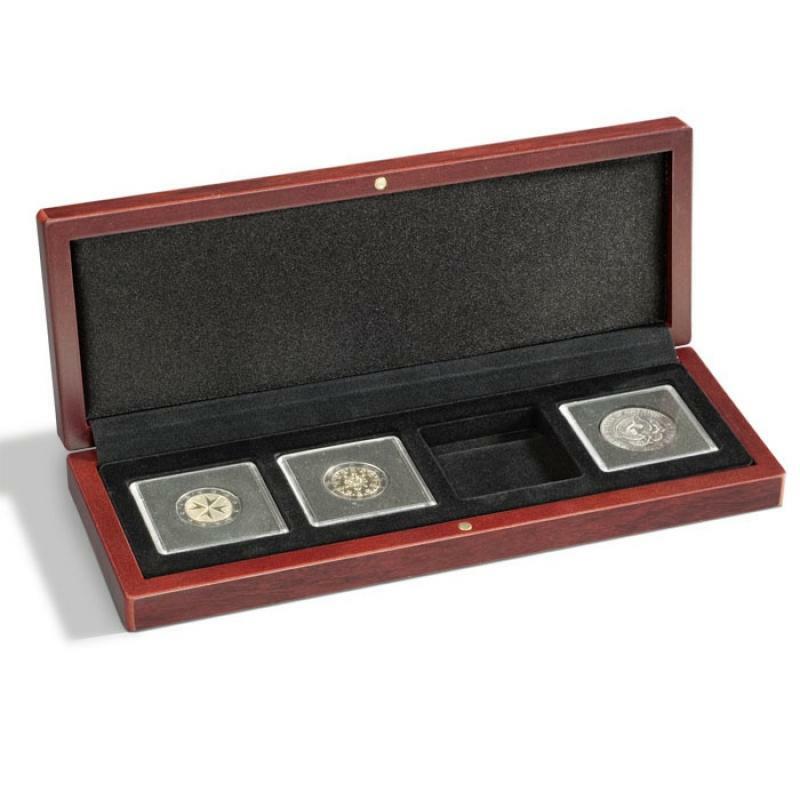 Featuring a charming mahogany wood grain finish, a padded lid beautifully lined with black exquisite black satin, and an opulent black velour insert, the Volterra Coin Case compliments the display of a wide range of coins and can be chosen in various styles so you can find one perfectly suited to your needs. A delightful addition to any display case, you can rest assured all of our Volterra Coin cases are constructed to the very finest, solid and durable standards, and is completed with gold plated hinges and a secure magnetic closure.Our Volterra Coin Presentation Cases are also now available specifically for storing Quadrum & Quadrum XL coin capsules.